A complete introduction to Onshape CAD by designing a fully-functional model rocket. 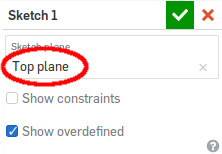 Select a sketch plane. Use the Top plane. You might have exited your sketch. 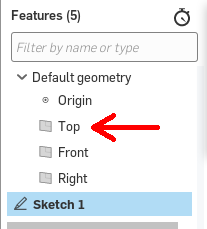 Double click on "Sketch 1" to reenter the sketch. Draw a circle. Be sure to snap it to the origin. Draw a circle inside your first circle. Be sure to snap it to the origin.